1. Be aware that an employee is legally obligated to seek to resolve the dispute through Acas before lodging a tribunal claim against you. Should this happen, Acas will most likely call you notifying you of the claim and Early Conciliation Procedure, giving you just ONE month to settle. If you already know a tribunal might not find in your favour on this one, we recommend you take the call from Acas seriously. This is not a time to do an ostrich impression by refusing to return the call. 2. Research at an early stage is a good option. Investigate what is being claimed, by who, what paperwork there is, what witnesses you have, what your defence might be etc. Don’t leave it to the last minute and research is as relevant for the early conciliation process as for the employment tribunal itself. 3. Be aware that whilst an early settlement may be tempting to avoid legal costs and possible compensation, it might also raise an expectation amongst other staff that they too could get some money out of you without having to make much of an effort or even go the tribunal itself. 4. Be aware that if you don’t settle during the early conciliation process and the matter proceeds to employment tribunal and a claim is lodged, you have just 28 days to respond. Time really does fly at times so this is not a time to prioritise other tasks over what might feel like a very stressful or unpleasant one. Failure to respond on time means that you lose your right to defend yourself and that can be disastrous. 5. Get some good legal advice at an early stage. We recommend Jaluch for support. And remember that someone outside your organisation might have a clearer view of the strengths and weaknesses of the claim. Sometimes its hard to see the wood for the trees! 6. Be hassled into a quick settlement during the early conciliation procedure before checking the facts or even checking they have the right to claim what they are claiming etc. Acas has no legal responsibility to check the employee has the right to bring the claim they are bringing so don’t assume they will have done this. 7. Put off preparing for the tribunal until the last minute. Preparation can take weeks of effort, especially if you have to coordinate witnesses, so start early. 8. 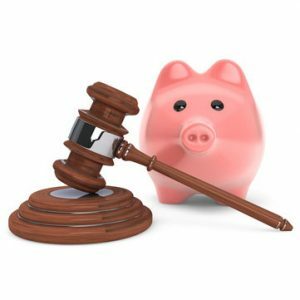 Forget to factor in the cost of legal costs when deciding whether it is worth settling out of court at an early stage. Legal costs often exceed £15K and can easily head towards £40K for a complex claim. 9. Forget to think about what, if anything, you will be letting your staff know about this claim. Sometimes a bit of communication is better than one damaging rumour. 10. Think you are alone! Being on the receiving end of a tribunal claim is often stressful so make sure you get some good support throughout the process. Choose someone who can demonstrate a bit of empathy as well as be a good sounding board and legal advisor. You might need to shop around, but getting good support will be well worth it. 10.5 If an employee has been threatening legal action then mark a date in your calendar 3 months forward. An employee has 3 months to bring a claim (it can occasionally be extended) so do a diary reminder so you know when you are most likely out of the danger zone! For paperwork that protects you from unnecessary claims why not take a look at our GDPR policies, right of appeal letters, disciplinary procedure, redundancy policy, whistleblowing policy, employment contracts, business protection letters, diversity and inclusion policy etc. all on DocsWizard.co.uk. Sign up here.